“What does Morocco mean to an Englishman?” George Orwell asked in one of his finer essays. “Camels, castles, palm-trees, Foreign Legionnaires, brass trays and bandits.” That was 1939. But whatever Morocco means to an Englishman today it probably isn’t “occupation, refugees, and landmines”. This is not something that sits well with King Mohammed VI or his new Government, and on Wednesday a diplomatic team in Rabat started Morocco’s latest push for membership. Kindly voices from the AU have also started to exercise their larynxes on the matter, such as prominent Tanzanian MP, Edward Lowassa Ngayai, who backed bringing Morocco into the AU fold last month. 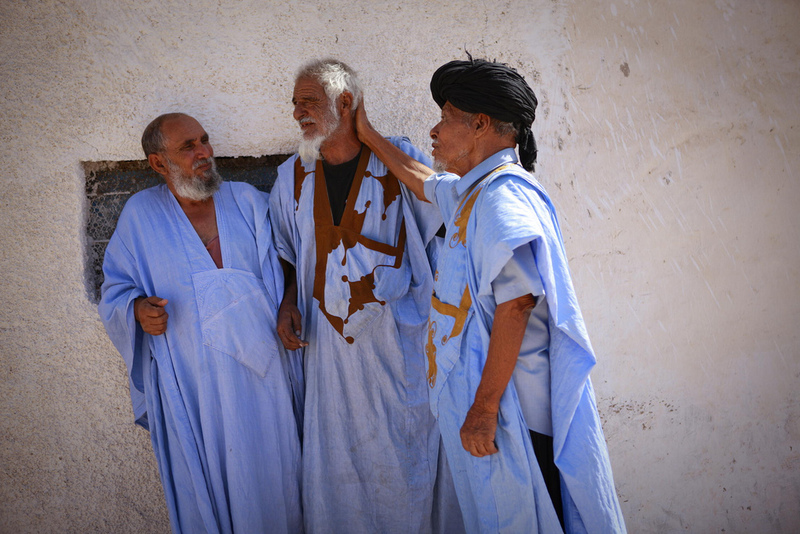 Morocco was elbowed out of the AU’s predecessor, the Organization of African Unity (OAU) in 1984 after the organization finally recognised the Sahrawi Arab Democratic Republic, the exiled government of Western Sahara, which Morocco invaded and occupied in 1976 and has held by force ever since. Western Sahara represents one of international diplomacy’s greatest failures. When the Spanish left in 1975, Sahara was to be the last country on the continent to go through decolonisation; it would forever mark the end of the sanguinary history of empire in Africa. Instead it is Africa’s last colony. The occupation has left hundreds of thousands of Sahrawi disenfranchised, and somewhere between 90,000 and 200,000 have fled as refugees, most of whom currently live in the Tindouf refugee camp in Southern Algeria, and in similar camps in Mauritania. The Moroccan army has established a segregation wall over 2000km long and surrounded by landmines, going through Western Sahara. Sahara’s resources are plundered, and its people continue to suffer. The United Nations response to the occupation has been nothing short of a disgrace. Though the UN recognises the occupation is illegal, it has utterly failed to do anything about it. The UN has maintained a peacekeeping mission meant to hold a referendum on autonomy in Sahara (MINURSO) since 1991, but it has no mandate to monitor human rights abuses, a skeleton staff, and thanks to France’s Security Council veto has failed to produce a referendum for 21 years. In spite of all this, it was in Western Sahara’s Gdeim Izik camp that the political protest movements in North Africa began, two months before the self-immolation of Mohamed Bouazizi. The Western Sahara protests received little recognition, let alone backing, in national newspapers, nor did anyone call for the end of the authoritarian regime that was its target. Moroccan security forces dismantled the 6000 tent camp, and the movement, by force. The African Union is undoubtedly a corrupt and weak institution, and includes countries with even worse human rights records than Morocco. But the one break in over 35 years of international inertia on the occupation of Western Sahara has been the AU’s stand for independence, and refusal to admit the membership of Morocco. If regional institutions are capable of having any impact at all on global justice (a question to which the answer may well be no), then it can only be by making membership for countries on the peripheries of regional blocks conditional on ending their abuses of human rights, something which has arguably been achieved to some extent with the European Union. A Chatham House report once compared an AU human rights court to “whistling in the wind”, but its policy on Western Sahara and Moroccan membership is one success in a list so short that it could be inscribed on one of Orwell’s brass trays. If it abandons that stance now, the AU will have to say it is happy living with a colonial Africa. This article was originally published with the New Statesman on June 6th 2012.